What a strange pot of cameras we've got. It seems the mirrorless stew has a lot of opinionated chefs and not enough sous chefs and line cooks. Olympus: straight forward competent bodies with a touch of Pen and OM nostalgia. Panasonic: grown up compacts (GF, GX) to hybrid DSLR with compact-derived controls (GH, G). Sony: hide a small but odd UI camera behind DSLR-sized lenses. Samsung: WiFi is what the user really needs. Nikon: Coolpix on focus steroids. Fujifilm: what's wrong with 1960's cameras? Leica: same as it ever was. Pentax/Ricoh: anything but standard design. In short, little agreement on what mirrorless should be. Slicing things differently, there seems to be a clear "nouveau" versus "retro" difference, though. Fujifilm, Leica, and to some degree Olympus are siding on the retro styles, hoping nostalgia will give them a marketing leg up. Sony, Nikon, and to some degree Panasonic have gone ultra modern, taking the current compact camera designs further, only with large sensors and interchangeable lenses. Samsung seems to be a straddler, and Pentax/Ricoh is the wild experimenter, with three different takes (Q for retro, K-01 for MOMA cred, GXR for just plain different). The more I use these cameras, the more I feel that a lot of the mirrorless designers have missed a basic point: make the best possible damned camera. The m4/3 companies seem to come closest to that ideal, though each tends to over or under reach on a few bits and pieces. The latest Olympus and Panasonic cameras have small issues and flaws, but a serious shooter almost certainly feels that cameras like the GH2, G3, GX1, EPL-3, E-P3, or E-M5 come close to their needs and desires. Coupled with the wide and competent lens set for m4/3, you actually get a real "system feel" for m4/3. Golly gee, you can choose the camera and lenses that best match the way you shoot. That sounds right, doesn't it? Nikon got the technology right, but hasn't delivered on the ergonomics nor the system (lenses, practical accessories, etc.). The V1 feels right in the hands except the only control you've got is a shutter release (and aperture/shutter control if you're not in a scene mode). The Nikon 1 is the epitome of point and shoot. Sony got the technology right, but forced a new UI on users that still feels unpolished (the NEX-7 external controls are nicer, but the menu system is still a mess). Moreover, the lenses don't fell like they belong with the camera (and on a NEX-7 they seriously underperform). Samsung makes a competent camera and a handful of good lenses, but they're priced high, and the sensor and autofocus feel behind the times. Ricoh/Pentax has me totally confused. With three very different and incompatible mirrorless offerings, what message are they sending? Are they using the spaghetti method of product development (make a bunch, throw it at the dealer's wall and see what sticks)? The GXR (APS version) is nice, but pricey. Unfortunately, it won't be the one that sticks, I think. 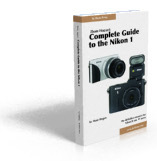 Nikon compromised the Nikon 1. Even the V1 isn't the best camera they could have made. Bad Nikon. Sony compromised the lenses. I fail to see the point of great sensors and not-so-great lenses. Either you're after great image quality or not. Which is it Sony? Fujifilm compromised the technology. Yes, I know the hybrid viewfinder is cool technology no one else has. But did Fujifilm ever figure out that card speeds have gotten very fast and that they need to actually redesign their output? Ditto focus. Ditto JPEG quality. Ditto video. Ditto a lot of things. And are they really working with software companies so that the new filter pattern is understood by all raw converters? Progress there seems slow. Samsung didn't make many compromises, but they also haven't produced anything overly unique nor figured out how to sell and market their product. Their lenses are good, but don't give you a heck of a lot of options yet. Ricoh made one really bad compromise on the GXR: they linked lenses and sensors. As I've written before, the "lensor" modularity is the weak aspect of the GXR. We've got 16mp sensors now, but my 28 and 50mm lenses are linked to a 12mp one. Upgrade/update costs just don't make a lot of sense in that system. Meanwhile, Pentax built a big Tonka-Toy and a small James Bondish Spy mirrorless camera system. Neither big nor small approach appeals to me, though the cameras themselves are competent. That leaves the Panasonic/Olympus m4/3 combo as the most complete, most competent, least compromised system so far. That's probably why when I'm heading out the door and need a small, basic set of camera gear, I keep reaching for my m4/3 gear. The lenses I need exist. The cameras are competent and operate like cameras (gimmicks like touchscreen aside). I get reasonable image quality. This isn't to completely dismiss the other mirrorless cameras. There are things I like about every system. I wish everything focused like the Nikons, everything worked in low light as well as the Sony, the camera controls were as logical as Samsung's, and so on. The question that keeps coming to mind, though, is will all this diversification in mirrorless continue or will it all coalesce back to a "center"? I don't mind the technology experiments and the pushing of the envelope, but at the end of the day I want that to come in a package that feels like an uncompromised camera system. A system I control simply and reliably, and one that has all the options I want. Right now, that's only m4/3. Which is probably why m4/3 outsells the other systems, don't you think?